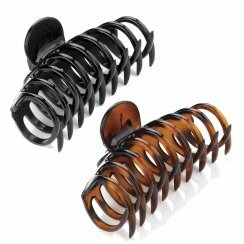 Hair Claws are accessories that grip the hair in a claw-like manner. 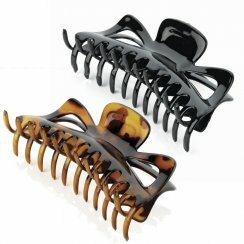 They use spring tension and the claws usually hold large quantities of hair between them. 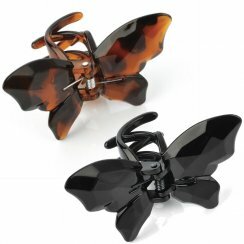 The interlocking mechanism ensures a secure grip. 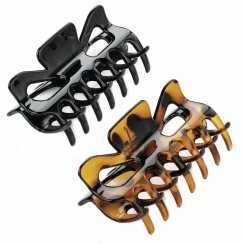 Claw clips are ideal for securing thick hair and are ideal for holding hair twisted up and away from the neck. Free delivery is standard for all UK purchases. 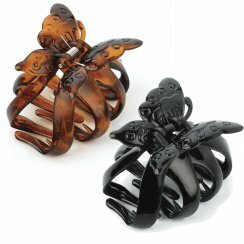 £1 Maximum Postage charge to Europe & £1.50 to the Rest of the World.